Just left Mr. Harrington's house with my new van! The backstory - saw his first ad, PMed but missed being first, so he agreed to sell it to someone else.. I was bummed, but what ya gonna do. Fast forward to Sunday. I'm on the phone with the guy from CO selling the EB Quigley V10. Agree to buy that, hang up. Check In here. And I get a PM from les saying the previous deal fell through due to financing, was I still interested. I immediately responded yes! Got cash, I can be there within an hour. Sunday afternoon passes, Sunday evening passes, off to work on Monday, all day passes. Finally Les calls me about 4. I tell him I will jump on the train and be there in an hour. He says he doesn't want to post anything on the site until the deal is final, since the first deal went south. And his daughter is helping him with the forum. He agrees to pick me up at the station. Check out the van, it's everything it appeared to be. Les is a super nice guy and I agree to buy it, so we decide to go out to dinner to go over it. He bought it new, has every service receipt in a binder with a spreadsheet to keep track of it. He's a retired engineer, took excellent care of the van. Over plates of parmigiana and piccata we discuss vans and life. I didn't want to post anything today, one, as he didn't want to, and two, didn't want to jinx anything. But I picked up a bank check today, did the exchange, and I'm on my way home! Now to clean and fix a couple odds and ends on my old van.. And get that up here for sale. Congrats on the purchase. If you decide to flip it, give me a shout. Congrats, but I have to ask, what about the guy in CO? Right. Forgot to tell that part. Last night after dinner with Les I called Steve in CO. No answer, so I shot him an email. He called me back 20 minutes later and told me he had shown the van to a local couple after he and I had talked on Sunday, and he had already called them and it looks like they're gonna take it.. which will be easier for all involved because he didnt have clear title and needed to pay off the loan first. He also said he had three more folks lined up behind them. So basically, things all worked out for thr best for all involved. Sorry, unless you are offering Jage's sugggested $65,000, I'm keeping this one! Glad to hear it was a stand-up (non) deal between you, and that it was in both your interests not to do the deed. Agreed. 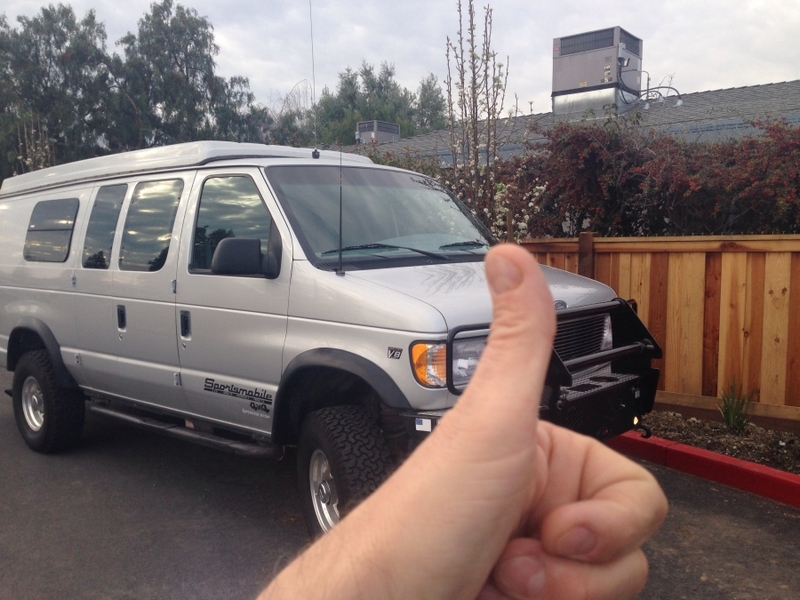 I was kind of stunned and confused that after four plus months of fruitless searching I had two potential deals on two great vans within hours. Thanks! Even had a quick overnight campout pre-planned for Saturday, so we get to test it out soon!